The workshop is organized by INRIA and sponsored by the Ecoles de Coëtquidan. 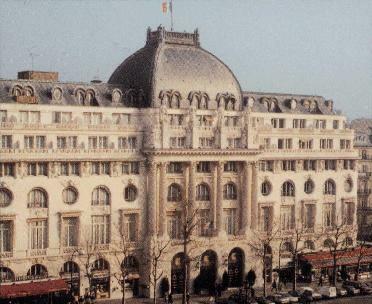 It will be held, as WCC'99, at the "Cercle national des Armées", in the heart of Paris, at walking distance from the Avenue des Champs-Élysées. You can see there the Call for papers in an html version. You can get the ascii file (English, French). All authors of accepted talks are invited to submit a full paper for the proceedings to appear as a special issue of Discrete Applied Mathematics journal. See instructions to authors. There is no online registration. You need to download the registration form, print it on your local printer, fill it and send it by surface mail. Please download the registration form either in PDF (20k) format or in PostScript (210k) format. Instructions to authors are provided, both for papers presentation and for submission.